You have been asked to create a Windows PowerShell advanced function named Get-DiskSizeInfo. It must accept one or more computer names, and use WMI or CIM to query each computer. For each computer, it must display the percentage of free space, drive letter, total size in gigabytes, and free space in gigabytes. If a specified computer cannot be contacted, the function must log the computer name to C:\Errors.txt and display no error message. Display optional verbose output showing the computer name being contacted"
Here's the script I came up with. It is a pretty simple one, but knowledge of all main Powershell principles is required, i.e. 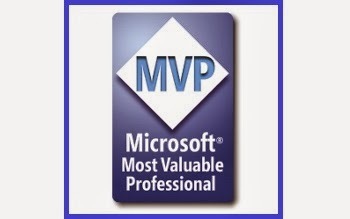 parameterized functions, WMI queries, composite formatting, expressions and error handling. The behavior of my script can vary depending on the Powershell version you are using to execute it. In particular it is compatible with Powershell V2, but works better with Powershell V3, where some of the bugs of test-connection have been fixed. Concerning test-connection, I decided to set the 'erroraction' parameter to 'stop' because my try() catch() construct was unable to detect the exception on unreachable hosts. Write-Verbose -Message "ComputerName: $Comp - Testing connection..."
Write-Verbose -Message "ComputerName: $Comp - Connection successfull. Proceeding"
Write-Verbose -Message "ComputerName: $Comp - Connection failed. Exiting." Write-Verbose -Message "ComputerName: $Comp - Getting drive information..."
Write-Verbose -Message "ComputerName: $Comp - Ended retrieving drive information"
If you have problems understanding this script, do not hesitate to contact me and I'll be glad to answer. Just keep in mind that this is my solution to the proposed problem and might not be as good as other's. Keep an eye in particular on the Scripting Guy's blog and on Powershell.org. Now on Google+ and Facebook!